Square 2’s inbound marketing efforts helped Miller Welding & Machine Co. land a deal worth more than $1 million in revenue. Miller Welding & Machine Co., located in western Pennsylvania, is a metal manufacturing supplier focused on keeping OEMs’ production lines running. The family-owned company has an impressive 50-plus-year track record of success, but its growth had plateaued and the owners realized it was time to rethink their marketing. The new Miller Welding & Machine Co. website doesn’t just look great – it gets results! 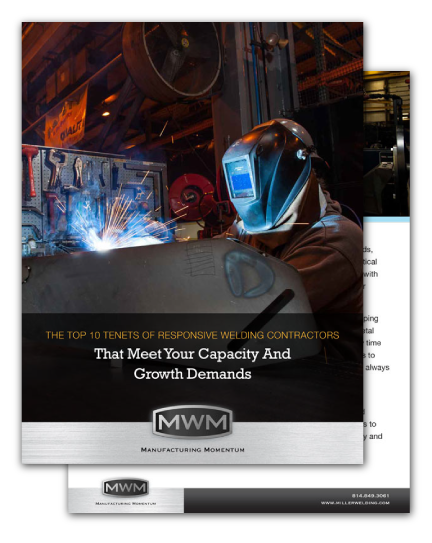 Since launching its new inbound marketing website, Miller Welding has seen significant, sustained growth. The most exciting result is a deal worth more than $1 million in revenue. 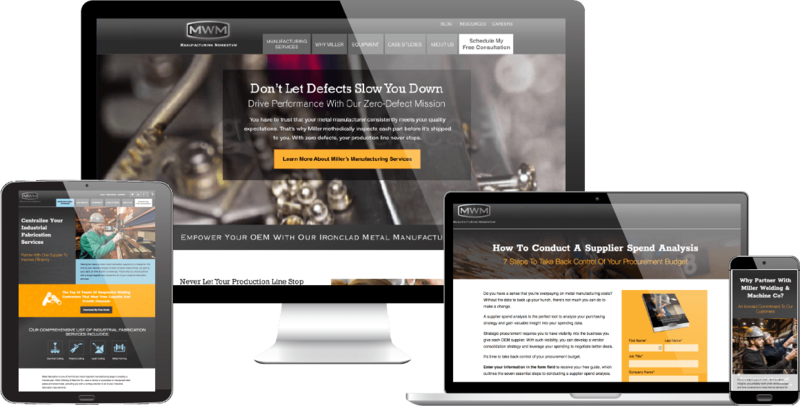 This new client deal was the direct product of inbound marketing efforts driving organic search traffic to the new Miller Welding website pages. Additionally, in a 60-day span, website visits jumped from about 200 visits a month to over 2,000 visits a month — a 1,000% increase. It’s easy to work with Square 2. It’s very straightforward, and they are extraordinarily responsive, which is not typical in business. This has been lived up to throughout our entire relationship with Square 2. One of the biggest things we’ve seen is responsiveness. For any question I have, it’s responded to remarkably fast. – Eric Miller, Vice President of Sales and Marketing, Miller Welding & Machine Co.